An Italian general renowned for commanding peacekeeping missions died in a military helicopter crash north of Rome Thursday that also killed a trainee pilot, emergency services said, cited by AFP. An Italian general renowned for commanding peacekeeping missions died in a military helicopter crash north of Rome Thursday that also killed a trainee pilot, emergency services said. Calligaris participated in numerous international peacekeeping missions, including heading a parachute brigade in Lebanon. In the late 1990s, he was part of the Nato-led mission in Kosovo, and went on to coordinate Nato's forces in Afghanistan and Chad, and contributed to the foreign effort helping Haiti after its devastating 2010 earthquake. A military helicopter crashed in Egypt's North Sinai near Sheikh Zwayed due to technical problems, a security source told the Reuters-affiliated Aswat Masriya Saturday.The source said there was a technical problem with engine, detailing that the helicopter fell in the area of Shalaq in Sheikh Zwayed. Eyewitness accounts confirmed seeing a helicopter crash in a desert area near Shalaq. Egypt's Sinai has witnessed an escalation in attacks by militants against the army and police since the ouster of Islamist president Mohamed Morsi on 3 July 2013. All three people aboard a helicopter were killed after it snagged a power line and crashed Monday in rural western Colorado, authorities said. The three-person crew was on a routine flight inspecting power lines south of Silt, about 50 miles northeast of Grand Junction, when their helicopter went down about 11:18 a.m. (1:18 p.m. ET), the Garfield County Sheriff's Office said. 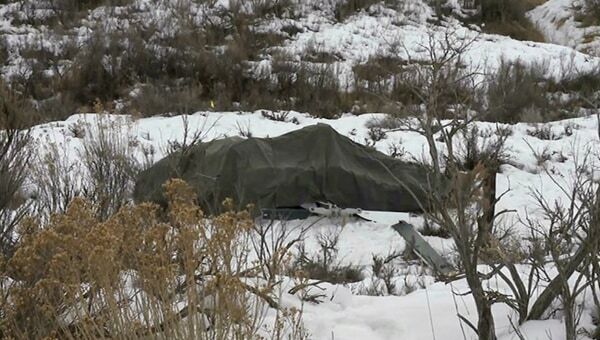 A tarp covers the wreckage of a helicopter that crashed Monday near Silt, Colo.
Only the pilot was identified Monday — Doug Sheffer, the owner of DBS Helicopters, based in the town of Rifle, whom Sheriff Lou Vallario called "a top-notch pilot and good friend." Vallario told the Post Independent newspaper of nearby Glenwood Springs that Sheffer often worked with local authorities in search-and-rescue missions in the region's rugged mountains. "Because of Doug, we were able to rescue many people that we might not otherwise have been able to," Vallario told the newspaper. "He is definitely going to be missed." The identities of the two other victims weren't released pending notification of their families, but DBS helicopters employed only three people, according to its website, which said Sheffer had more then 8,000 hours of experience of mountain flying. Weather conditions Monday in Silt were cloudy with light winds and visibility of nine miles. A Malaysian Army Air Corps (PUTD) helicopter, an Augusta A-109 LUH, crashed in the jungle near the Bekok Dam between 9pm and 10pm Thursday night, according to sources Friday. However, all the four people on board the helicopter, which was on a training flight, were safe and had been taken to the Kluang District Hospital. "The helicopter was on a night training flight before it crashed in the jungle near Bekok Dam in Segamat," said the sources. The sources said that a PUTD rescue team had been despatched to the crash site and succeeded in taking the victims out before sending them to the Kluang Hospital at about 1am. The four victims, including a foreign military officer with the rank of Lieutenant-Colonel who was the flight instructor, did not suffer serious injuries, the sources added. Bernama learnt that the foreign military officer was from France, while the other three people on board were locals holding the ranks of Major, Captain and a Sergeant. The sources said the impact of the crash resulted in the tail and the rotor blades of the helicopter to break into two and the wheels of the aircraft were damaged badly. "The helicopter was described as a total loss," the sources said. According to the sources, night flight training involved high risks as the pilot had to rely on the 'night vision goggle' and other flight instruments in flying the helicopter. Meanwhile, Batu Pahat OCPD ACP Din Ahmad, when contacted, confirmed receiving the report on the incident from the military this morning. However, he said he was informed that the helicopter did not crash but had made an emergency landing due to problems faced by the aircraft. He said no serious injury was reported on the four victims. 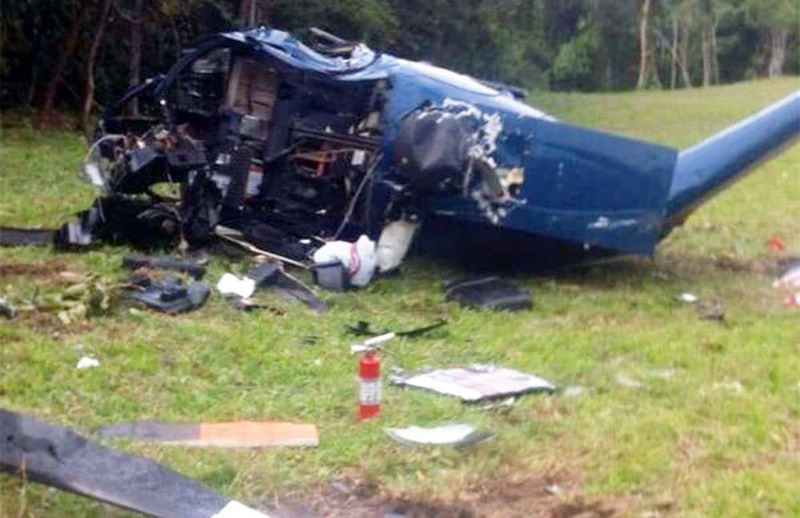 Two Costa Rican pilots and a Supreme Elections Tribunal official survived a harrowing incident on Monday when the Public Security Ministry helicopter in which they were traveling crashed east of Cartago. The accident occurred at 1 p.m. in the indigenous region of Nimari-ñac in Chirripó, Turrialba, when the aircraft experienced a malfunction in its tail rotor upon takeoff, the ministry reported. On board were pilot Francisco Allón Herrera, co-pilot Sebastián Gadea Castro and TSE official Adriana Vega Solís. Emergency crews transported the three by helicopter to Hospital México Hospital in San José, where they were treated for minor injuries. Solís was transporting 3,952 ballots from Sunday’s elections. The ballots were not damaged and will be taken to TSE facilities in San José by another helicopter, TSE President Luis Antonio Sobrado said. A Bell 412 operated by Panama's Servicio Nacional Aeronaval (SENAN) has crashed near Mansukum in Panama during a drug interdiction operation of a suspicious boat. The crew consisted of a pilot, co-pilot, mechanic, three members of the Directorate of Naval Intelligence (DIAN) and three members of the SENAN Naval Infantry. Of the 9 persons on-board one has suffered fatal injuries. 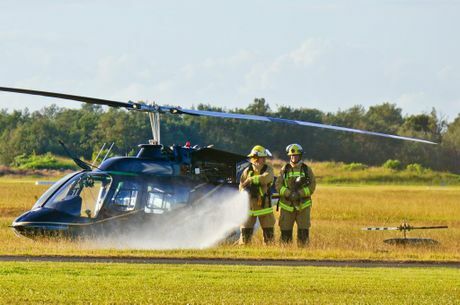 At approximately 8 p.m. Saturday, Feb. 8 two Tallahassee men were killed in a helicopter crash at the Wakulla County Airport in Panacea. A Tallahassee woman was injured and transported to a Tallahassee hospital with unknown injuries by medical helicopter. The pilot, Curtis Robert Clifford, 53, of Tallahassee and Terry Bryan Ooten, 49, of Tallahassee were killed at the scene. Sheri Noelle Devore, 45, of Tallahassee survived the crash. The three individuals were on their way back to Tallahassee after eating at a local restaurant. The helicopter clipped a tree limb and crashed and landed on its top. The tree limb took down a power line which hampered emergency worker efforts until the line could be turned off. The helicopter landed in a wooded and marshy area near the airport. The FAA and NTSB will be called to the scene to continue the investigation. The emergency call was answered by FHP, the Ochlockonee Bay VFD, Wakulla Firefighters and the Wakulla County Sheriff's Office. The helicopter was owned by Tallahassee Helicopter and was used for video footage for news stories for WTXL Channel 27. The helicopter was not being used by WTXL at the time the accident took place. 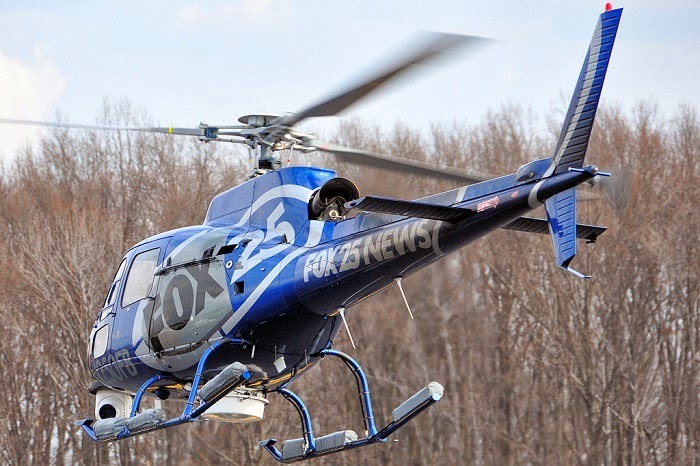 None of the people on the helicopter are employees of the television station. 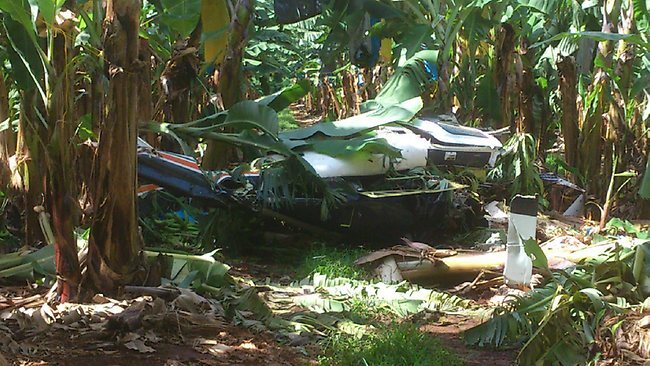 A HELICOPTER has crashed on a banana farm at Mission Beach this morning. The Jet Ranger helicopter was flying over the Campbell St banana plantation at Mission Beach when it went down shortly after 6am. Steve Shadforth of Coral Coast Helicopters said the pilot had been returning from spraying bananas when the accident happened. It is believed it clipped a tree in nearby rainforest. The male pilot was the only occupant on board at the time. He was not seriously injured in the accident but reported neck and back pain following the crash. He was later taken to Innisfail Hospital for treatment. A military helicopter assigned to the presidency crashed in southern Ecuador, killing three people, President Rafael Correa has announced. The Indian-made Dhruv helicopter was on a flight between Guayaquil and Quito when it crashed in the region of Chimborazo, a military spokesman said. Correa disclosed the crash during an election rally in Quito, asking for a moment of silence for the victims. He emphasized that at no point was he supposed to be on the flight. "Let's hope this doesn't lead to speculation," he said. "It has to be investigated. I was not traveling on the helicopter, I didn't have the least plans to." Three crew members were killed, including a presidential pilot. The helicopter's pilot survived. 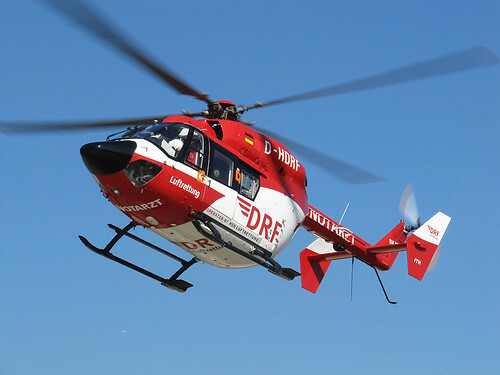 BERLIN (AP) - A rescue helicopter has crashed during a training flight off Germany's Baltic Sea coast, killing three people. The aicraft's operator, DRF Luftrettung, said Saturday that one person on board survived the crash and was being treated at a hospital. The helicopter, which was based at Guettin on northeastern Germany's Ruegen island, crashed Friday evening. Divers recovered the bodies of one of the pilots, a doctor and a rescue assistant overnight. There was no immediate word on the possible cause of the crash. Three people died when a helicopter crashed in a mountainous area in southeastern Guatemala, the General Civil Aviation Directorate, or DGAC, reported Tuesday. The aircraft vanished from radar screens late Monday evening about 11 miles from this capital's La Aurora international airport, Mario Chang, the head of the Aviation Operations Center, told a radio station on Tuesday. The helicopter plunged to earth in a mountainous region between the municipalities of Fraijanes and Villa Canales. The pilot was identified as former army officer Ramon Rodriguez, and his passengers were Luis Paiz and Andre Berger, both civilians. The cause of the crash is not yet known and Chang said only that the wreckage of the chopper had been located. The DGAC official in charge of accident investigations, Victor Celada, told Efe that a team from his agency is heading to the crash site. Bell 206L-3, N207DS, Silt, Colo., Jan. 27, 2014 (see post #4 above): The helicopter departed Garfield County Regional Airport in Rifle (RIL) at about 10:45 a.m. and was destroyed at about 11:18 a.m. when it collided with a wire about three miles east of RIL. The aircraft fell to the ground, killing the pilot and two passengers. The aircraft was registered to and operated under Part 135 by DBS as an on-demand air-taxi flight for infrared power line patrol requested by Holy Cross Energy. The helicopter had completed one surveillance flight earlier in the day and landed at RIL to refuel before departing on the accident flight. The power lines being examined ran north-south. Another set of power lines ran in an east-west direction and crossed above the Holy Cross Energy power lines being inspected. Two parallel static wires ran from the top of each east-west tower to the next. A witness reported seeing the helicopter heading south just before the accident. During examination of the wreckage, investigators retained two recording devices for further examination. One of the devices had a secure digital (SD) memory card installed. The second SD card was not located during examination of the wreckage area. A helicopter has crashed in Norfolk, England, killing four people. It was on the way to Northern Ireland. Emergency services were called at 7.30pm yesterday following reports the aircraft had come down in Gillingham, near Beccles, Norfolk, near the border with Suffolk. All four people on board were pronounced dead at the scene after it crashed in a field containing a wooded area, Norfolk Police said. The victims have not yet been named as officers inform their next of kin. The accident site is near Gillingham Hall, a stately home owned by Northern Ireland peer Lord Ballyedmond. It was reported that the helicopter was flying to Northern Ireland, though police refused to comment on where it had taken off from or what its destination was. Inspector Louis Provart said: "Emergency services are working together in difficult conditions to secure the scene and carry out an initial investigation into the circumstances. "Our thoughts are with the family and loved ones of those who have sadly lost their lives this evening." Emergency services were called by members of the public who heard a loud crash, though Mr Provart would not say whether there was an explosion and refused to speculate on the cause of the crash. The Air Accidents Investigation Branch has been informed and a team will be sent to investigate the crash, a spokesman said. Three ambulances, two doctors and one rapid response car attended the scene, along with a police helicopter and fire services. A spokeswoman for East of England Ambulance Service said: "Sadly, it is believed that four people in the helicopter are believed to have died in the crash. Ambulance resources have now been stood down from the scene. Our thoughts are with the family and friends of those who have lost their lives." Roland Bronk, owner of The Swan House inn and restaurant in Beccles, said it was "very foggy" in the area. Mr Bronk said he heard customers talk about "a lot of police activity and ambulances". One Twitter user, @andrew89mufc, said thick fog might have played a part in the crash, adding: "Helicopter crashed very close to my house in Gillingham tonight. I heard it flying over the house. "I live in Worlingham on Park Drive. My garden backs onto the woodland leading to Gillingham. I heard a helicopter circling the house for about 15 mins at around 7:45. This may have been air ambulance or police searching though." He added: "Can't see my hand in front of my face. No sign of scene of crash." Taxi driver Mark Murray, 22, from Beccles, said: "There is a large stately home nearby and you often see helicopters coming and going from there. "When they have a game shoot the guests often all arrive in separate helicopters. We don't know if that is linked, but that's the only helicopter activity we see in this area." Helen Roberts, a forecaster at the Met Office, confirmed that large parts of East Anglia had been hit by mist. She said: "There has certainly been some fog around south Norfolk, and the Norwich area has been in fog. "There has been widespread mist around East Anglia and low visibility quite widely across East Anglia. Mist means low visibility, and it has been misty quite widely throughout the evening." Norfolk Police said the crash site will remain cordoned off today while officers continue a forensic examination of the scene. Roads in the area have been closed. The scene is 45 miles from the spot where four crew members died when a US military helicopter crashed on a training mission in a nature reserve in Cley-next-the-Sea, Norfolk. A Northern Ireland peer killed in an air accident in Norfolk had raised concerns about the helicopter that crashed, the BBC has learned. 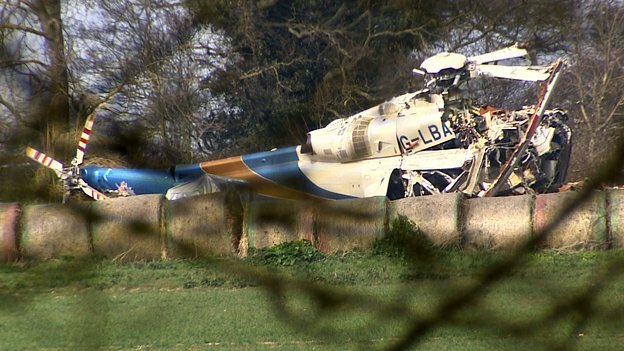 Lord Ballyedmond was one of four people who died when the helicopter came down in a field in Norfolk on Thursday. 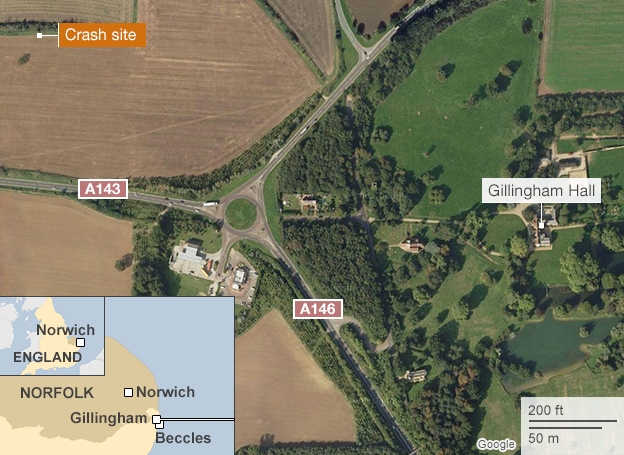 The Agusta Westland AW139 crashed near the 70-year-old's stately home in Gillingham, near Beccles. The other victims have been named as Declan Small, and pilots Carl Dickerson and Lee Hoyle. Mr Small, 42, from Mayobridge in County Down, was a site foreman for Lord Ballyedmond's company, Norbrook Laboratories. Captains Dickerson and Hoyle were pilots with Haughey Air Ltd, another of Lord Ballyedmond's businesses. Lord Ballyedmond, who was one of Northern Ireland's richest men, and the three other men died at the scene. Their four bodies have been removed from the crash site. It has emerged that, last year, Lord Ballyedmond, a Conservative peer, lodged a claim against the manufacturer of an Agusta Westland helicopter he owned. The case came before the courts again last week. Lord Ballyedmond wanted a refund, claiming that it had a number of problems, including a hole in one of its blades, oil leaks and failures in the communication and navigation systems. A spokesman for Agusta Westland said the company could not comment on possible defects with Lord Ballyedmond's helicopter, but said it was making checks internally and would support the ongoing investigation in any possible way. It is not known what caused the crash but witnesses reported fog in the area at the time and said the helicopter came down very soon after taking off at about 19:30 GMT. The Police Service of Northern Ireland has been contacted by Norfolk Police for assistance. Chief Insp Stuart Armes of Norfolk Police said the crash scene covered "a considerable area" and there were road closures in place in case of debris. "It is very early to assess what's happened," he said. "Our primary objective is to establish the investigation and to support the family." He said limited investigations had taken place in the dark and foggy conditions and officers were waiting for the fog to lift. Supt Dave Marshall, of Norfolk police, said: "Police, along with our emergency service colleagues and the Air Accident Investigation Branch are now working towards the dignified removal of the four bodies, which is expected to take place this afternoon, full examination of the scene and opening roads as quickly as possible. "The cordon is in place to keep areas sterile and allow the investigation to be carried out sensitively and safely." A statement on the Norbrook website said: "It is with sincere sadness and deep regret that the company confirms our founding chairman and CEO, Lord Ballyedmond, was one of four people who tragically lost their lives in an aviation accident at Gillingham, Norfolk at approximately 7.30pm on Thursday 13 March 2014. "Norbrook management and staff also mourn the loss of their friends and colleagues Declan Small (site foreman), Capt Carl Dickerson (pilot) and Capt Lee Hoyle (pilot). "Our thoughts are with the immediate families and friends of the deceased who have requested privacy at this difficult time. "We take enormous pride in our chairman's extraordinary legacy in establishing Norbrook as a global veterinary and pharmaceutical industry leader. "Management will continue to advance his pioneering vision with a renewed vigour and determination befitting his memory." Tributes have been paid to Dr Edward Haughey, who became Lord Ballyedmond of Mourne when he was created a life peer in 2004. He was a leading industrialist and owned veterinary pharmaceutical firm Norbrook Laboratories in Newry, County Down, and had a range of other business interests. As well as being a member of the House of Lords, he was a former member of the Irish senate. In December 1996 a helicopter owned by Lord Ballyedmond crashed on Carlingford Mountain in the Republic of Ireland killing three people. It was en route to his Rostrevor home. Norfolk Police said the crash site would remain cordoned off during the day while examinations of the scene were carried out. 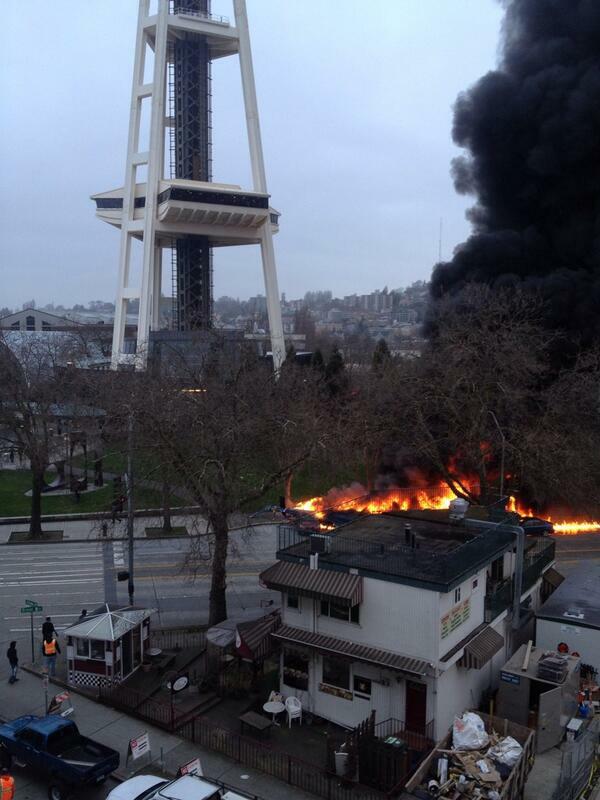 At least two people are dead after a Seattle news helicopter plummeted from the sky Tuesday morning and crashed into two cars, exploding in a massive fireball just feet from the city’s distinctive Space Needle, the city's fire department said. A 37-year-old man pulled himself from his car and has burns over more than 50% of his body, Seattle Fire spokesman Kyle Moore said. The man is clinging to life in critical condition at Harborview Medical Center, Moore said. Photos of the scene showed black smoke billowing up from the fiery crash around 7:40 a.m. on the west coast. Three vehicles on Broad Street were on fire when the fire department arrived on scene. The helicopter belonged to KOMO News. The news station declined to comment on the crash. The FAA told NBC News the helicopter was taking off from a downtown helipad on the fifth floor roof of the KOMO studios near Fisher Plaza when the aircraft went down. 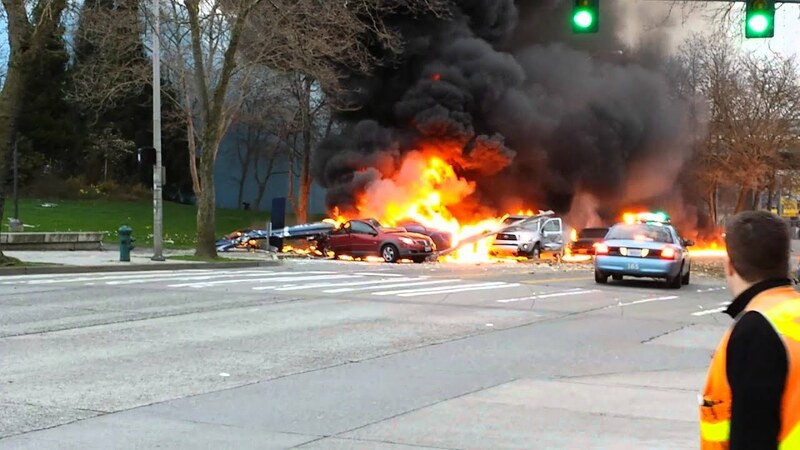 One man reportedly ran from one of the damaged cars with his sleeve on fire, and fuel running from the wrecked copter created a streak of flames along the road, KOMO reported. A man driving a silver truck walked away from the scene and is unaccounted for, Moore said at a morning press conference. A woman in a blue left the scene and went to a local police precinct to be interviewed, according to Moore. The two dead were inside the helicopter. Their bodies remain on scene, covered by a white tent. Only the tail end of the copter is still visible on the scene at Broad St. near 5th Ave.
A construction worker at a nearby work site told KCPQ-TV that he saw the helicopter make one "swoop," then go nose down into the roadway. Another witness told the new station she saw the helicopter take off, stutter in the air before crashing to the ground and exploding. Chris McColgan, 26, was stopped at a traffic light just two cars ahead of where the helicopter plummeted to the ground, he told the Seattle Times. The fire has since been put out. A man is dead after a helicopter crashed near Gisborne this morning. The 53-year-old Gisborne man was a passenger in the helicopter that crashed at around 10am at a logging skid site ON Paritu Road, Wharerata, off SH2. The helicopter, owned by Gisborne Helicopters, was working at the forestry site delivering supplies and equipment from one site to another for a controlled burn-off operation. The burn-off had not started when the helicopter crashed. The pilot has been taken to Gisborne Hospital in a stable condition with leg injuries. Senior Sergeant Lincoln Sycamore said at this stage there is no obvious reason for the crash. "There were numerous witnesses at the site who saw the helicopter crash and we will be talking to everyone there," Mr Sycamore said. Fire, ambulance and police are at the scene and the Civil Aviation Authority will investigate. 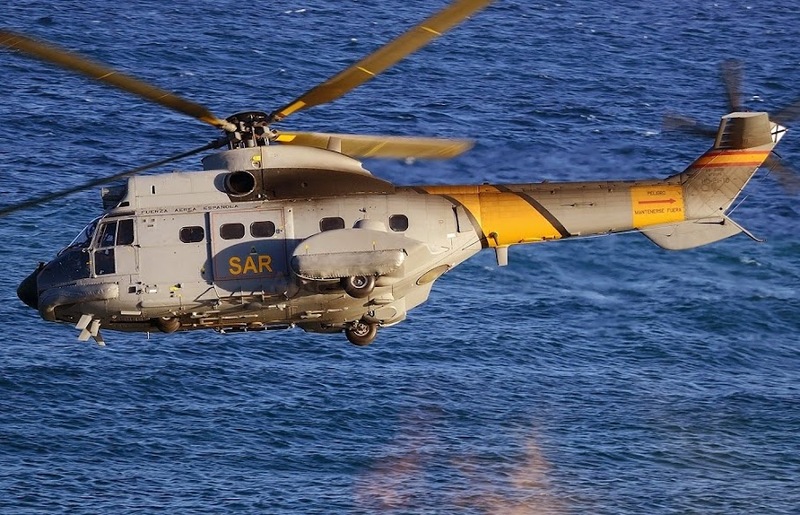 Spain searched today for four missing crew from a military helicopter that crashed during exercises by the Canary Islands, which lie off the northwest coast of Africa. Only one survivor has been found since the Super Puma helicopter crashed during exercises last evening, an air force spokesman told AFP. A large-scale search including naval, police and maritime rescue services was underway of the area, 25 nautical miles southwest of the archipelago's Fuerteventura island, the spokesman said. "They were doing a regular rescue by winching exercise when it crashed," he said. The cause of the accident was as yet unknown. It is unclear when this accident occurred. However, the video was uploaded yesterday via LiveLeak. Evidently one spectator was killed from flying debris while three more were seriously injured. The occupants onboard the helicopter sustained light injuries. Re: EC120 crash in Germany (as per above). Just a reminder to any freshman flyers who may see this video. Most helicopters can manage various levels of forward speed in the form of a 'run on'. Take note however that with a run-on it is necessary to have the skids straight (ie. no yaw) as well as level .. especially in a/c with high skid gear such as the 206 or 350 fitted with 'highs'. Some instructors even suggest that in the 206/350 with high skids one should aim to touchdown towards the heel of the skids. If uncertain .. simply go with ensuring they are level upon touchdown. Skids (or wheels) are absolutely useless at accommodating any sideways momentum and which is why your flight instructor should have taught you never .. and I repeat never .. to fly sideways close to the ground! This really is among the A, b, c's of basic handling. DPS responded to a rural helicopter crash near FM 107 in Oglesby just before noon Sunday. According to DPS Trooper Harpin Myers, two men inside the helicopter were in the middle of a hog hunt when their helicopter began to malfunction. The pilot, who is a former Marine Cobra pilot, set the helicopter down in a field safely, Myers said. "This individual because he was an experienced pilot, prevented what could have been a catastrophe," Myers said. The pilot and the man inside the helicopter weren't harmed. No one on the ground was harmed either. Members from the FAA will investigate the cause of crash. A helicopter has crashed at the Missoula International Airport. The pilot was taking off to perform a training exercise at around 3:45 p.m. when the chopper crashed on the west-end of the airport property. Officials on scene told MTN News that it was a miracle to respond to a call like this where nobody was hurt. Authorities tell us it appears the chopper tilted when taking off, causing the blades to hit the ground. The Minuteman Aviation helicopter flipped over, causing a small fire inside, but the flames were quickly extinguished. A number of emergency response crews arrived, but the man and the woman on board refused medical attention. "I've been here six years and this is the first Alert 3 scenario that I've been aware of," Airport Public Safety Chief Jesse Johnson said. "We responded [and] luckily there were no injuries to [those] on board, and no fire." When you get a call, you never know what to expect, and this is the best outcome you could have," he added. Johnson tells us the woman was training to be a pilot. 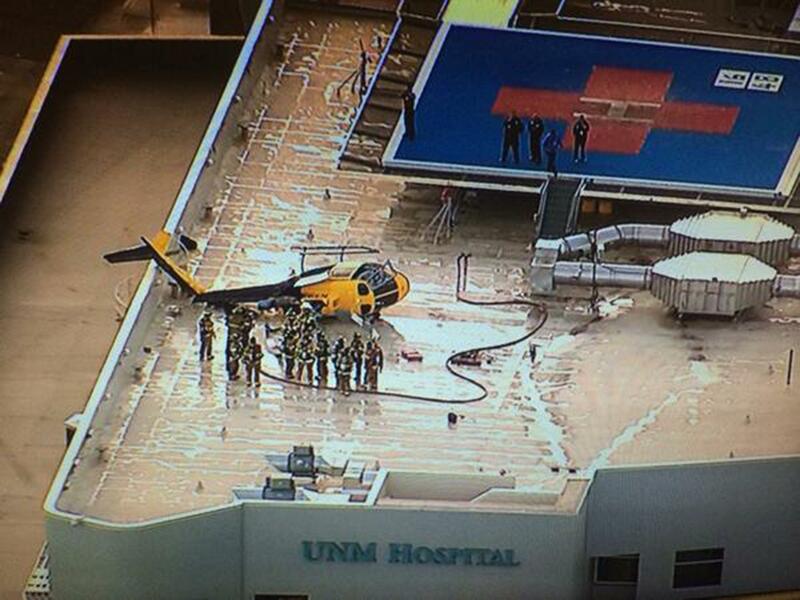 A North American Astar helicopter operated by PHI Air Medical on a pilot training flight has crashed onto the roof of the University of New Mexico Hospital in Albuquerque, authorities said. Besdies the pilot and trainee-pilot, two additional crew members were on board, all of whom escaped the crash with minor injuries. The hospital evacuated the floors directly beneath the scene of the crash as a precaution. It is not known at this time what may have caused the crash Wednesday afternoon. AN: Updated news reports are indicating that yesterday's crash at the University of New Mexico Hospital in Albuquerque has resulted in the pilot suffering injuries. The extent of injury is as yet unknown. A medivac helicopter crashed moments after takeoff from the roof of a New Mexico hospital on Wednesday, injuring the pilot, said hospital spokesman Billy Sparks. The Airbus AS350 B3E had just dropped off a patient at the University of New Mexico Children's Hospital in Albuquerque, said Brad Deutser, a spokesman for operator PHI Air Medical. It fell onto the rooftop, where it came to rest on its side, Deutser said. The pilot, whose injuries were not specified, was in a stable condition in hospital, Sparks said. A flight paramedic and nurse who were aboard as passengers were apparently uninjured. Witnesses told local media the helicopter appeared to be wobbling in the air shortly after takeoff. The Federal Aviation Administration opened an investigation into the cause of the crash. One pilot has died and another was injured following a helicopter crash at Miyun County in suburban Beijing on Thursday morning, according to rescue authorities. At 11:39 a.m. Thursday April 10th, Beijing emergency center received a report that the helicopter had crashed near Mujiayu township of Miyun county, said the center on its account at Weibo, a Twitter-style Chinese social networking service. The center dispatched an ambulance helicopter (also a Bell 407) to the site to recover the two injured pilots to the county hospital. One of the pilots, a 38-year-old, had slight injuries to his hands while the other suffered serious head trauma and died after failing to respond to emergency treatment. As of 7 p.m. Thursday, the injured pilot was in stable condition. 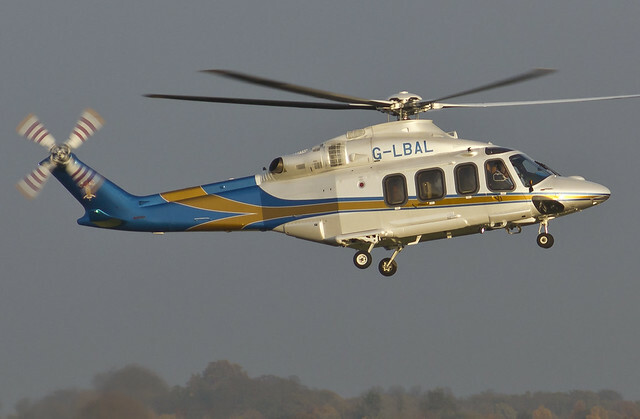 The Bell 407 helicopter is believed to belong to the Beijing-based Beijing Riverside Group and was operated by a general aviation firm known as the Tianjin Company. The accident occurred while the pilots were conducting flight training above Mujiayu township in Miyun. Civil aviation authorities are investigating the accident. The State Council, China's cabinet, and the military authority jointly decided in November 2010 to open up the country's low-altitude airspace to general aviation. 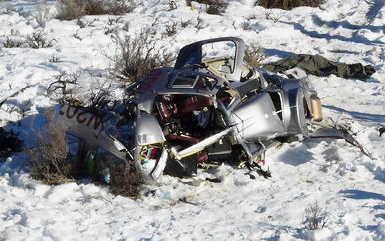 A helicopter has crashed today at the Reno-Stead Airport situated 10 nautical miles northwest of Reno in Nevada. The helicopter has been identified as a single-seat, home-built Helicycle according to Federal Aviation Administration spokesman Allen Kenitzer. Tragically, the pilot flying the Helicycle was killed. The cause of the crash is as yet unknown but the National Transportation and Safety Board will be investigating the accident. AUSTRALIAN Transport Safety Bureau investigators are collecting information on this morning's helicopter crash at the Coffs Harbour Airport. Police officers who attended the scene have gathered statements from the pilot and passenger and the ATSB says it is inspecting the logs and service history of the Bell 206 to determine what caused the helicopter's tail and rear rotor to strike the ground. A media spokesman with the aviation safety authority says investigators will interview the pilot in a 'desk based investigation' from Canberra. It is understood the incident may have occurred after the helicopter took off from the Coffs Harbour Aerodrome tarmac around 7am. The ATSB says its findings will be released after a report on the accident is finalised. 8.30AM: THE pilot of the helicopter, which crash landed at the Coffs Harbour Airport this morning, suffered whiplash and back soreness after the rear rotor was ripped from the aircraft when it struck the ground. The pilot and a passenger, who was uninjured, were able to evacuate the Bell 206 quickly and alerted authorities just before 7am. Fire and Rescue crews initially feared the helicopter could erupt into flames after the fuel tank suffered damage when it impacted with the ground. Police said the southern end of the airport remains open to commercial air traffic. The northern end of the airport near the aerodrome remains closed this morning with an investigation to notify the Australian Transport Safety Board of the events that caused the helicopter to crash. The ATSB says it is waiting on information from the scene as to whether the crash happened on landing or take-off. The helicopter is believed to belong to a national trenching company. 7.30AM: A CRITICAL incident is unfolding at Coffs Harbour Airport where a helicopter crashed at around 7am. It's believed one person has escaped serious injury but there are no details as yet of any other persons being injured. Police, Fire and Rescue and Hazmat crews are at the scene. A search and rescue team has found debris of the Botswana Police Service's helicopter with all the three persons who were on board dead. 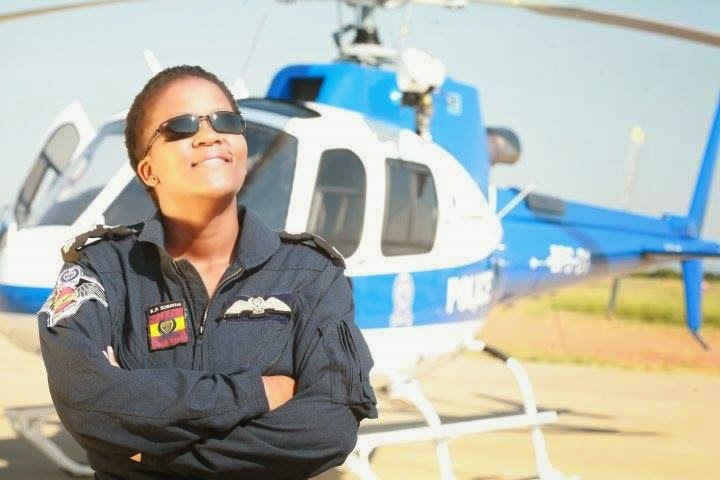 Police Commissioner Keabetswe Makgophe said the helicopter had crashed in the Okavango Delta. Commissioner Makgophe thanked everyone who was involved in the search and passed on the deepest condolences to the bereaved families. 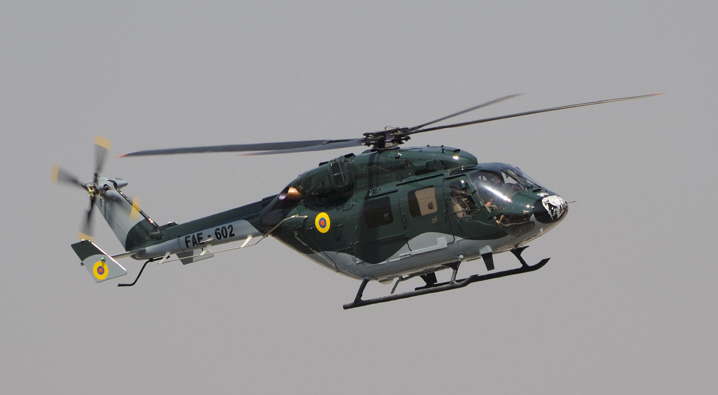 The police helicopter, BPS-02 an AS350B3, went missing while the crew was returning from Gumare to Maun on Sunday evening.